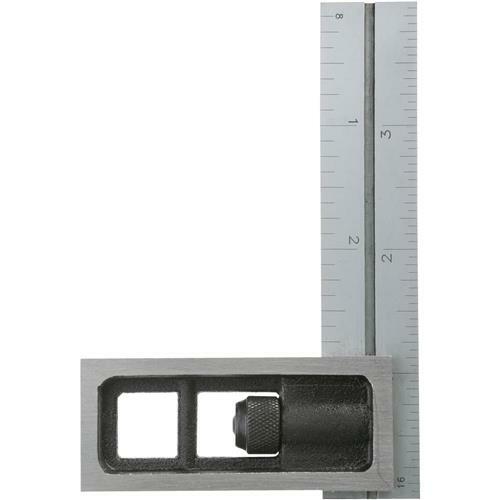 This 4" double square is popular with woodworkers, carpenters, machinists, toolmakers and pattern makers because it has a hardened steel blade, and is extremely accurate. 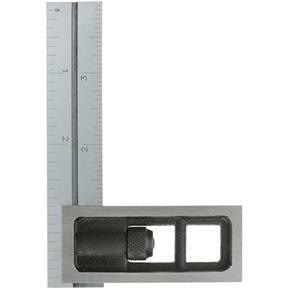 The chrome-finished blade is ground and lapped to insure parallelism and straightness. Faces of the head are ground square. 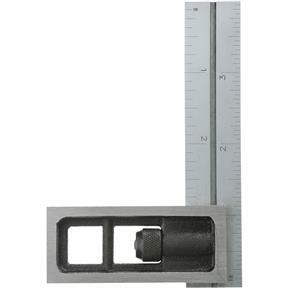 Tempered steel, machine divided blades in 1/8", 1/16", 1/32" and 1/64" divisions. Packaged in a protective plastic case. I bought this a month ago and very pleased with the purchase. This is a great little square for tight areas that I can't fit a larger square into. Easy to adjust and rock solid.